Evolving overtime, multiple layers of history enveloped Bareilly, making it priceless for India. In fact, irreplaceable! During Gupta dynasty, if it produced 5000 coins, it now is the hotspot for manufacturing camphor and surma(eye-liner) products. Even the terracotta human figures excavated from Bareilly reveal its artistic yesteryears. If in the late 80s, nothing made a Bollywood number cheekier, than adding ‘Bareilly’ in its lyrics, today it is known more for promising art galleries, dramatic theatre and cultural programmes. This cultural melting pot of Uttar Pradesh will surely amaze you. It includes a rich blend of Haryanvi (North Western Uttar Pradesh), Pahari (Uttarakhand), Awadhi (Lucknow) and Braj culture (Mathura). 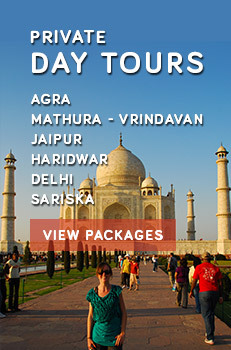 So, travel to Bareilly and just embrace their culture, cuisine and folk songs. Delving deeper into the roots of this ‘historic city of India’, one can excavate several unknown gospels. Its modern foundations were established in 1657 by Governor Mukrand Rai during Mughal Emperor Aurangzeb’s rule. It even played a pivotal role in the Indian Revolt of 1857. In short, it adapted with changes in India, time and again. This religious pilgrimage destination is also called ‘Nath Nagri’, or the ‘Abode of Lord Shiva.’ It is the birthplace of Draupadi, the ‘fire-born’ protagonist of Hindu epic Mahabharata. Even historical transcripts mention the importance of Jain Tirthankara Parshvanatha and Lord Buddha’s Bareilly Trip. Simply do not miss to gulp down mouth-watering seekh kebabs and minced meat dishes in your Bareilly Tour. Nowhere else do spices and aromatic herbs taste so yummilicious! Even the little eateries like ‘Chaman ki Chaat’, ‘Chhotelal ki Tikki’ and ‘Deenanath ki Lassi’ have decades of history, just like the city. And for those searching for traditional shopping, the elegant and fancy jhumkas (earrings) of Bareilly are simply irresistible. Just haggle and grab your pair, for every occasion. Out of the four Shiva Temples in Bareilly, Alakhnath is highly revered by the Naga sadhus who belong to the sect of Shaivite saints. The expansive temple complex contains several shrines and a large courtyard in the middle. The holy rituals conducted in the temple are kept as a secret and revealed only to the Naga sadhus. A 51-feet-tall statue of Lord Hanuman, a mighty Hindu God, is a striking tourist attraction of Alakhnath Temple. It is regarded as one of the oldest temples in the city. The serene environment in the complex is ideal for mediation and self-contemplation. It has a pond with floating rocks brought from Rameswaram, a religious town in Tamil Nadu. It is the famous and the biggest amusement park in the city. It has a water park named Boond. 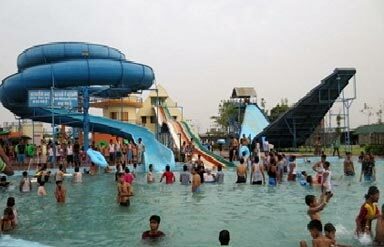 It is known for exciting water rides, roller coasters and artificial wave pools for both kids and adults. Lush-green lawns adorned with colourful flowers are also an added attraction of Fun City in Bareilly. It is also equipped with a video games parlour, ghost train, dark ride and a food joint. This Hindu Temple is fondly called as Chunne Miyan’s Lakshmi Narayan Mandir. Its history dates back to 1947 when India gained independence from British Rule. Presumably, the temple was constructed by Hindus who had eloped form Pakistan. The site was owned by a Muslim man named Chunne Miyan. He filed a case claiming the land to be an illegal possession by the Hindus. However, he later changed his mind and willingly donated the land. This is how the temple popularly acquires its name. Faridpur(21km), Pilibhit(50km), Badaun(76km), Moradabad(90km) and Nainital(127km) are some of the nearby sites to explore during your travel to Bareilly. Zari embroidery, jhumkas and ‘dari’ (traditional carpet) are the shopping attractions highlighted in Bareilly Travel Guide. Also look out for light-weight cane and bamboo furniture. 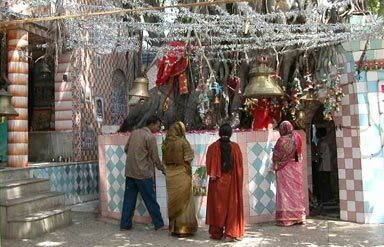 October-February is the best time to visit Bareilly when the weather is ideal for sightseeing. Globetrotters can also plan their trip during the famous Jashan-e-chiraga, the festival of lights, hosted in the famous Khanqah-e-Niazia Dargah (shrine). One can also opt for an amusing Bareilly trip during Craft Fair, annually organised by YugVeena Library, which provides an artistic platform for budding artists. Air: Pantnagar Airport (70km) is the nearest operating aerodrome. Rail: Bareilly Junction is connected to almost every important city in India like Kolkata, Delhi, Mathura, Mumbai, Lucknow and Ahmedabad. Road: Buses and taxis ply frequently from the nearby cities for the destination. So, discover Uttar Pradesh in a new way. 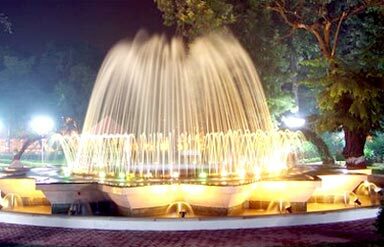 Opt for tailor-made Bareilly Tourism Package and enjoy a perfect combination of culture, art, shopping and cuisines.